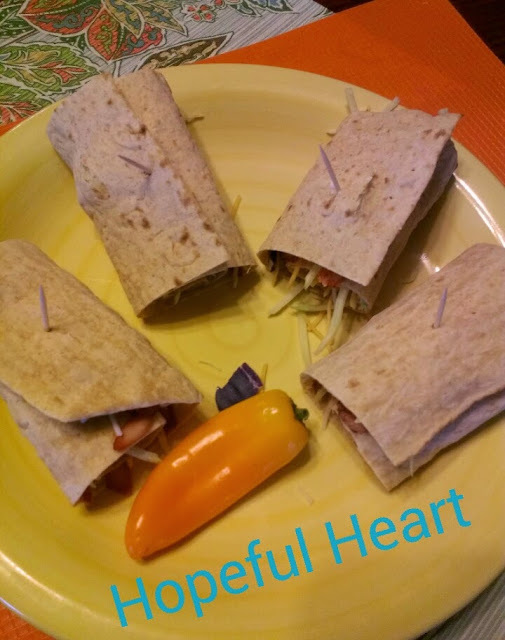 I want to share with you a recipe for a quick, easy, and healthy lunch: Turkey Lavash Wraps. 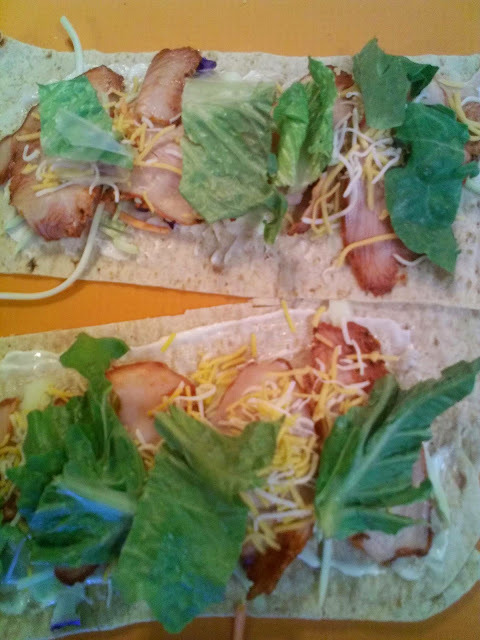 Lavash is a soft, thin, flatbread from Armenian origin. I buy Joseph's Flax, Oat Bran and Whole Wheat Lavash at Wal-Mart which is found near the deli. This brand comes in 4 rectangular sheets. I cut one sheet into four sections. You can fill them with just about anything. However, I like to keep it light for lunch and have chosen Cajun turkey. 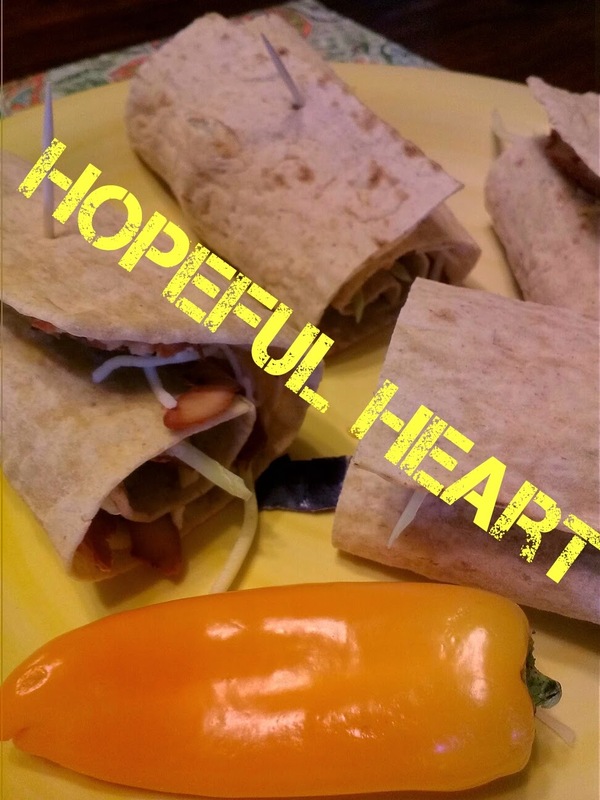 Hope you enjoy these wraps! Cut the bread into 4 sections. Spread mayo or horseradish sauce on bread. 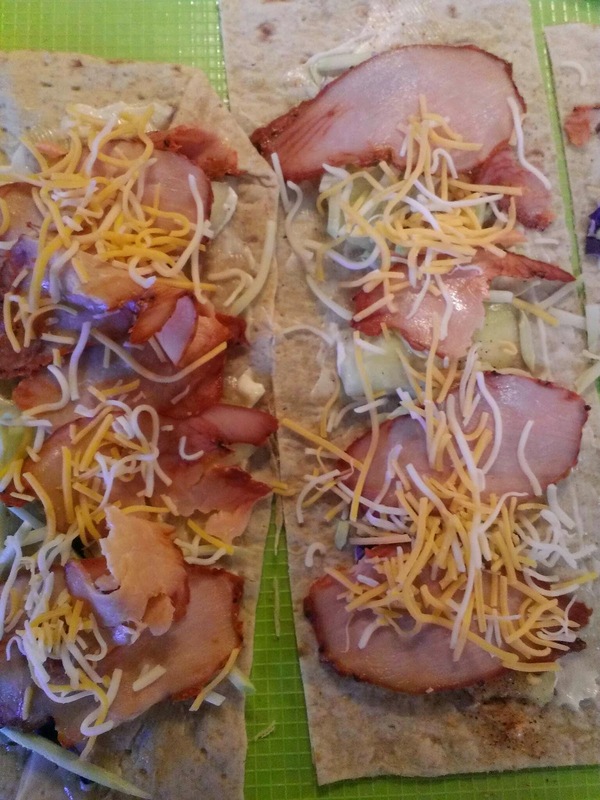 Layer turkey, cheese, cucumber, lettuce, and red onion and broccoli slaw. Roll up bread and secure with toothpick. If you like, you can serve with ranch or salsa for dipping.